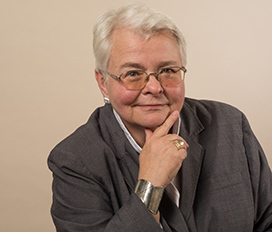 Pulitzer Prize-winning playwright Paula Vogel returns to The Vineyard with her new play, INDECENT, co-created with director Rebecca Taichman. INDECENT is inspired by the true events surrounding the controversial 1923 Broadway debut of Sholem Asch’s GOD OF VENGEANCE — a play seen by some as a seminal work of Jewish culture, and by others as an act of traitorous libel. INDECENT charts the history of an incendiary drama and the path of the artists who risked their careers and lives to perform it. Literary Associate Miriam Weiner recently spoke with Paula about the reception of GOD OF VENGEANCE in Europe and New York, the role of music in her work and process, and her fruitful five-year creative collaboration with Rebecca Taichman. What was the seed of INDECENT? I read Sholem Asch’s play GOD OF VENGEANCE when I was 23 years old, and I was astonished by it. In 1907, Sholem Asch was brave enough to write that Jews are no different than Catholics or Buddhists or people of any religion, in terms of having people in the tribe who may sell religion for a profit, or who are hypocrites. That’s a very hard thing for a man to do, especially in a time of burgeoning anti-Semitism. Then add in the play’s compassionate understanding of the powerlessness of women in that time and place — Asch is a young married man, in a very early work, writing the most astonishing love story between two women — and it makes a pretty compelling play to read and perform. Many years later, in 2000, I saw Rebecca Taichman’s MFA Thesis production at Yale, which interwove the text of GOD OF VENGEANCE with the transcript of the 1923 obscenity trial against the play in New York. I thought it was a fascinating idea. Flash forward to five years ago, when I got a phone call from Rebecca asking me to be involved. It took me thirty seconds to say yes. Why do you think GOD OF VENGEANCE had such an impact in its time? GOD OF VENGEANCE is set in a brothel run by a Jewish man who is attempting to raise his daughter piously, and it features a lesbian love story. When it was performed in New York in 1923, there was deep concern within the Jewish community about what Christians would think. “Do you dare to say this in public? Do you dare to show this in public?” It did exactly what plays should do — it provoked people into talking. GOD OF VENGEANCE traveled all over the world, and then it was closed down on Broadway. Today, nearly 100 years after it was shut down, it needs to be produced and talked about still — playwrights and new plays should bite the hand that feeds them, and that is what this play did. Can you think of a contemporary play that has provoked similar outrage? The plays that I admire, and the playwrights that I admire, are not shying away from the complexity of racism, bias, sexism and the things that hurt us. I’d point to AN OCTOROON by Branden Jacobs-Jenkins. That is a play that has an insider/outsider perspective. A musical I thought was astonishing was THE SCOTTSBORO BOYS. It’s a brilliant, virulent show and I’m glad The Vineyard’s production succeeded in London but it tells me a lot that it wasn’t as well-received on Broadway. We are no different than the audiences who sat and watched GOD OF VENGEANCE. Can you talk about your collaborative process with Rebecca Taichman? When Rebecca brought me into this project, I didn’t see this as a play about the obscenity trial, as her thesis project had been; as an older writer, there was a larger story that I engage in. About a fiery young playwright — not just Asch, but me, too — ignored for decades and then embraced by students. Rebecca was open and generous and allowed me to explore my ideas. I knew right from the beginning that I wanted music and a klezmer band, and Rebecca brought on composers, dancers and a choreographer. We talked over every page that I wrote; she showed me things in her staging that opened up the play for me and vice versa. She is an extraordinary, open-hearted collaborator. You mentioned music, which plays an important role in this play. Did you know from the beginning how important music would be to the piece? Every piece I write starts with music. I can’t write until I have a specific soundtrack that correlates to the emotional journey of the play. Even plays like BALTIMORE WALTZ and HOW I LEARNED TO DRIVE have a complete score to them. So, right from the beginning, I had songs selected to write to, though not every song on my writing soundtrack makes it onto the page; sometimes, as the play changes, I spend hours finding a new song to match. As a writer, I don’t think that anything I can write has the power that music does. I’m happiest in the rehearsal room when beautiful voices start singing. What do you think Sholem Asch would make of INDECENT? I’m not sure what he’d think. I think INDECENT respects him and respects his work and, most of all, feels a great empathy with the kind of pain he felt as a Jewish, Yiddish writer born at the beginning of the 20th century and going through the hideous events of that time. INDECENT asks, how do you write in a hideous time? How do you stay true to yourself? What happens if you censor the work that is telling the truth? How do you see those questions in terms of the theatre today? So many times we reach for the “classics” to produce; and meanwhile, there are brilliant Americans of color, women and political writers who, by and large, are kept off stage or out of the spotlight. This can only mean that our discourse will continue to break down. The isolation that America experienced before our world wars was very detrimental and we are at a point right now where we have politicians endorsing the same sort of isolation. I see it as a very dangerous time, the most divisive moment in politics in my lifetime. I do think we have an astonishing generation of voices right now. In terms of younger artists, this is the best time to write, act, and direct. It’s never been more important. Hopefully I’ve encouraged fellow writers and younger writers who will make people feel differently about the world we all inhabit. 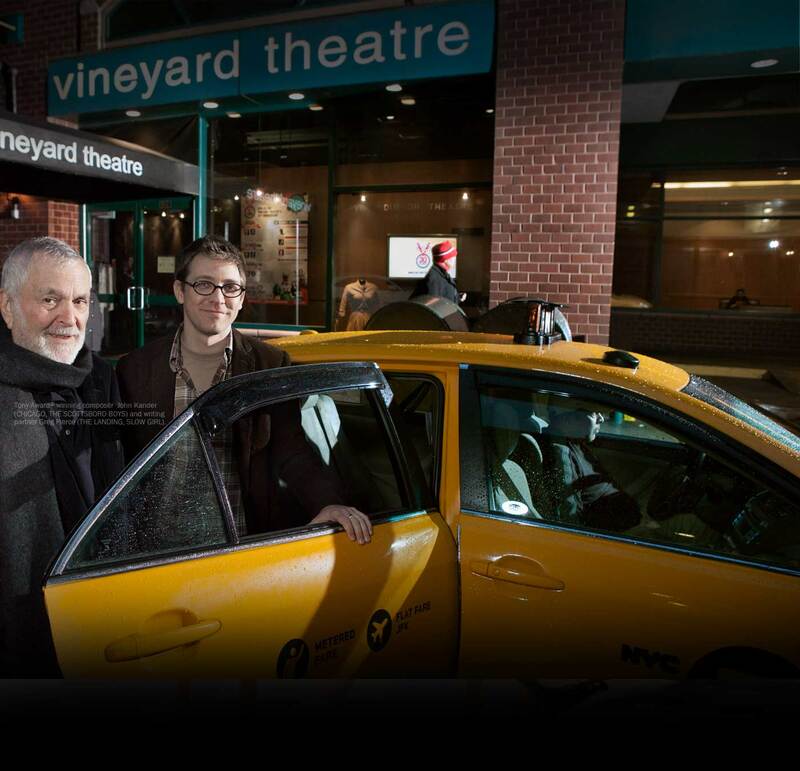 Your plays HOW I LEARNED TO DRIVE and THE LONG CHRISTMAS RIDE HOME premiered at The Vineyard, and eight years ago, the company created the Paula Vogel Playwriting Award, an annual award for emerging playwrights. What is it like to return to The Vineyard at this point in your life? I’m so happy to be able to be at the Vineyard Theatre, with the artists that run this company, who don’t shy away from producing work that really matters. As artists age, you become very concerned that you write something that matters to you. I want to write a love letter to the audience. And I’m concerned with the amount of time I have left on this earth. I need to be working in a room where I love the process and love and respect everyone in that room. And I have that at The Vineyard. I’ve seen so much work there that I’ve loved and I just bless everyone who helps keep its doors open. Ultimately, what do you hope the audience will take away from INDECENT? I don’t think of this as a grim play; I think about it as a love story in terrible times. If we love music and theatre and the arts, if we take solace in people sitting beside us in the theatre, if we do what is in our hearts, I think there is light for us. I think the power of us being together in a community gives us light through the darkness. I’m writing this play because, regardless of what I’ve witnessed in my life, I’ve never been sorry that I’ve spent my life in the theatre. I think the power of art is the power to wound our memory. I think the power of art is a way for us to change our world view. I think art is our spiritual bread that we break together.